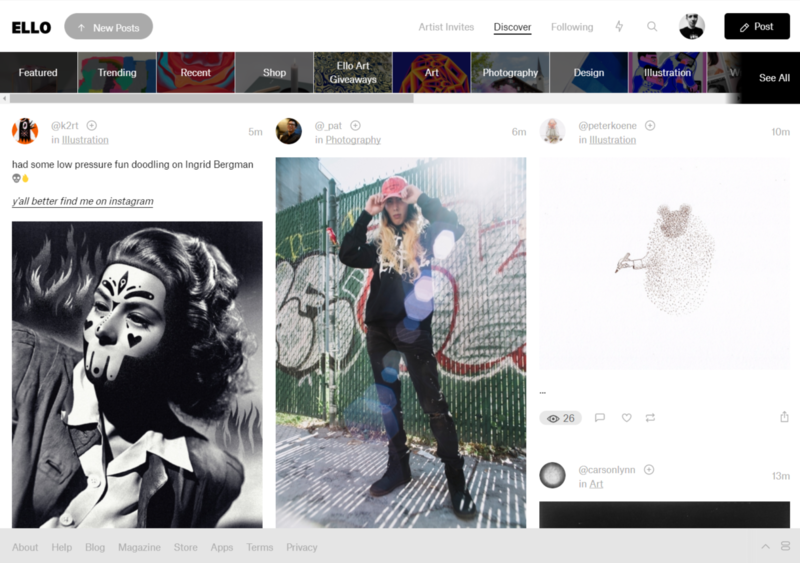 Ello is microblogging silo similar to Twitter or Tumblr for posting short status update notes and pictures. 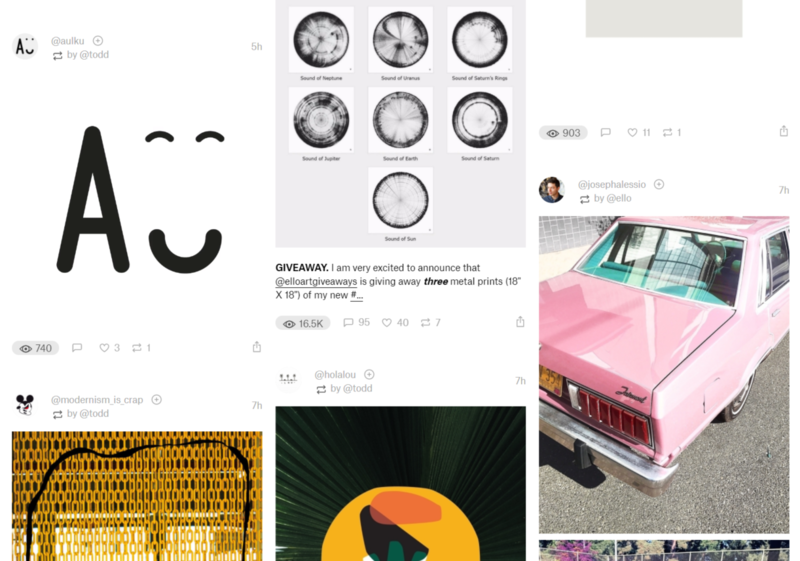 Ello offers threaded commenting and a minimalist "designy" feel to it with some unusual (but nice) UX animations & interface ideas. 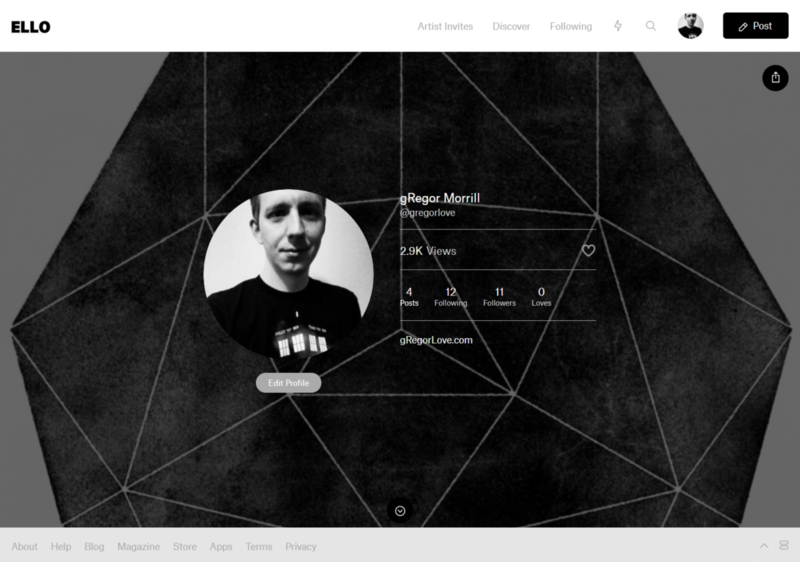 As of Sep. 2014 Ello is currently invite-only. Ben Roberts inquired about support on 2015-08-12  and the response was positive and indicated that it was "on the roadmap"
There doesn't appear to be a way to automatically POSSE to Ello. 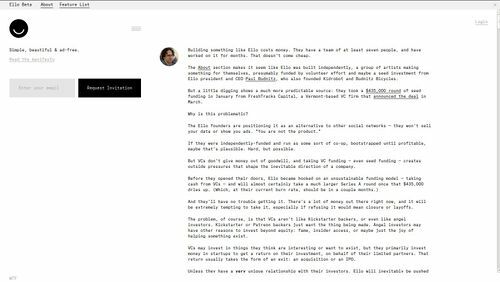 The following praiseworthy design aspects of Ello are worth noting and further analysis / reverse engineering for indieweb designs. 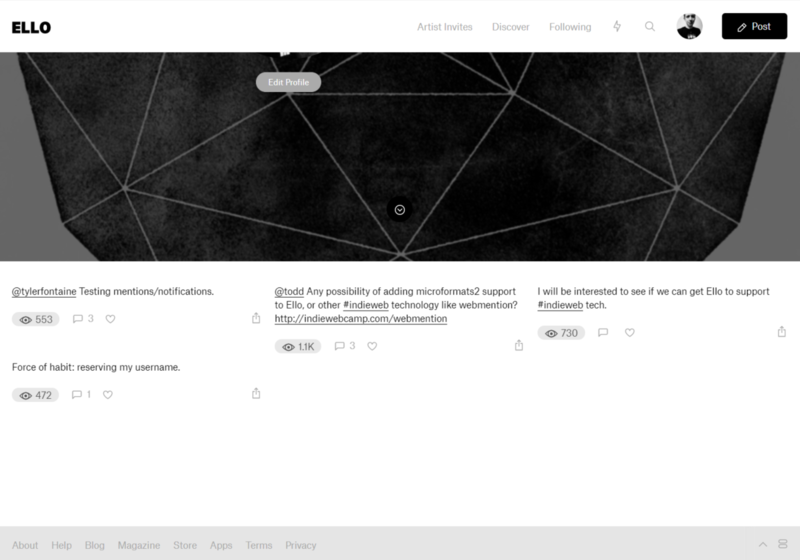 Once past the landing page, Ello opts for a completely blank, white canvas upon which their users' content is placed. Individual posts are set off from other posts and page content only by effective use of whitespace, rather than background-colors, lines, or flashy ui. It appears that Ello is run on Heroku. This was discovered by accidentally opening http://ello.co. (note the trailing period) and seeing a "Heroku: No such app" error message. Facebook's statement: "Trust us. We'll show you ads." App.net's statement: "Trust us. We'll charge you so you don't have to see ads." 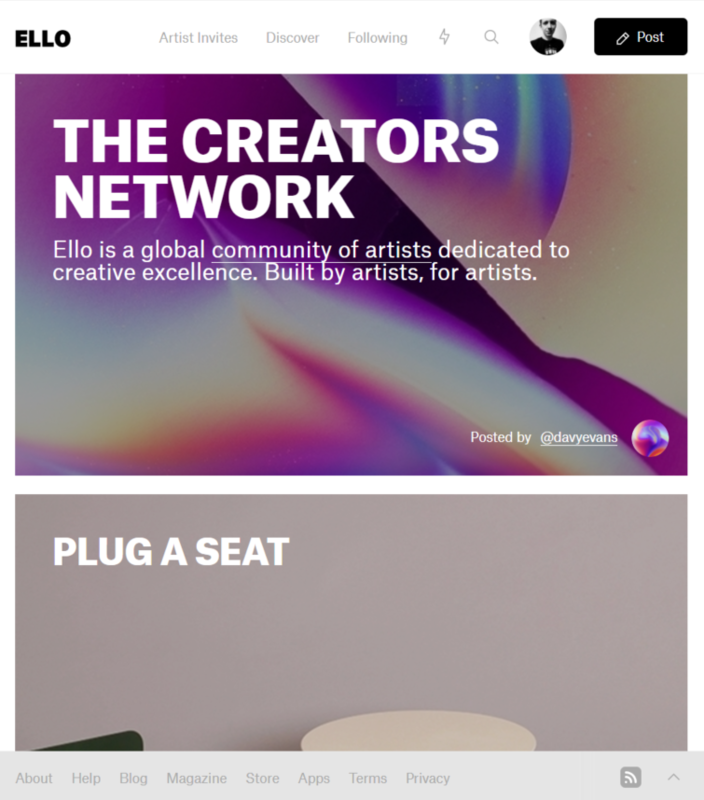 Ello's statement: "Trust us, we won't show you ads." The statement we deserve is akin to email's promise: you don't have to trust us; competing providers keep the ecosystem honest. 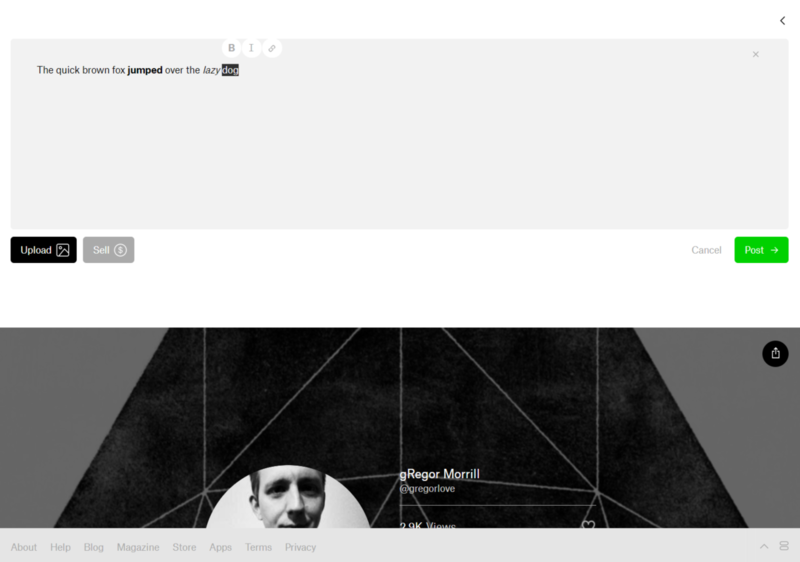 Ello seems to add extra things in the history and makes the browser navigation buttons act strangely, at least in Firefox. http://oodbye.co/ - critic site about Ello, parodying their domain name Hello/Goodbye. This page was last edited on 1 November 2017, at 10:08.